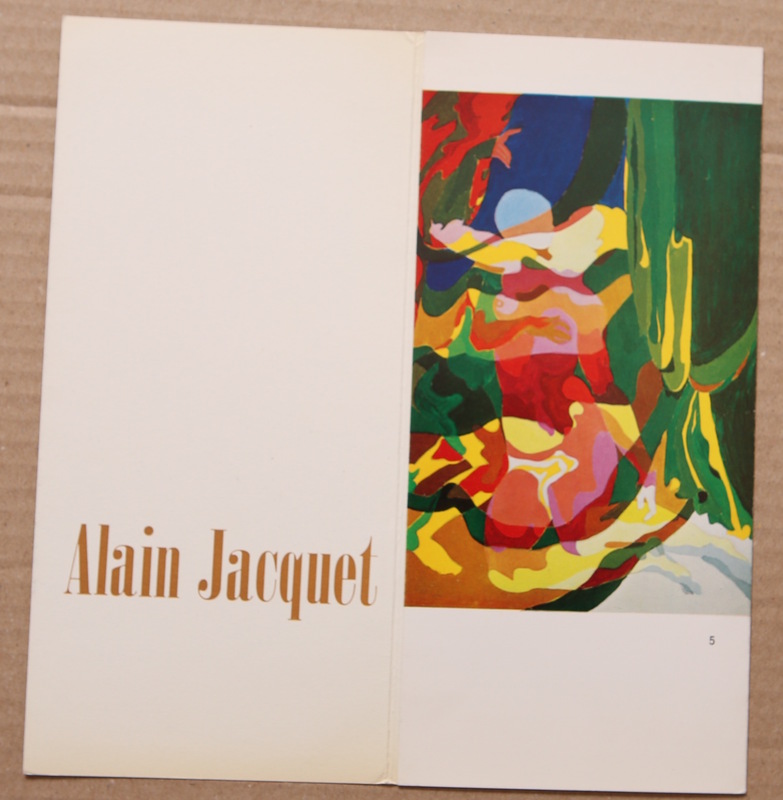 Original catalogue for an exhibition of camouflage paintings by artist Alain Jacquet. Single card folded in three sections. 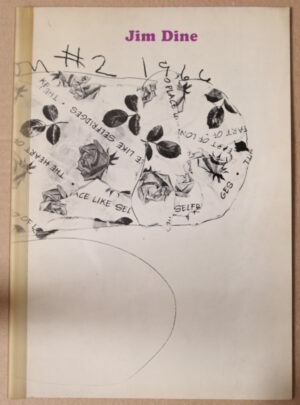 Printed both sides.